Maryland Photographer Patrick Smith || Photoblog || Patrick@PatrickSmithPhotos.Com: Where is your eyeball? 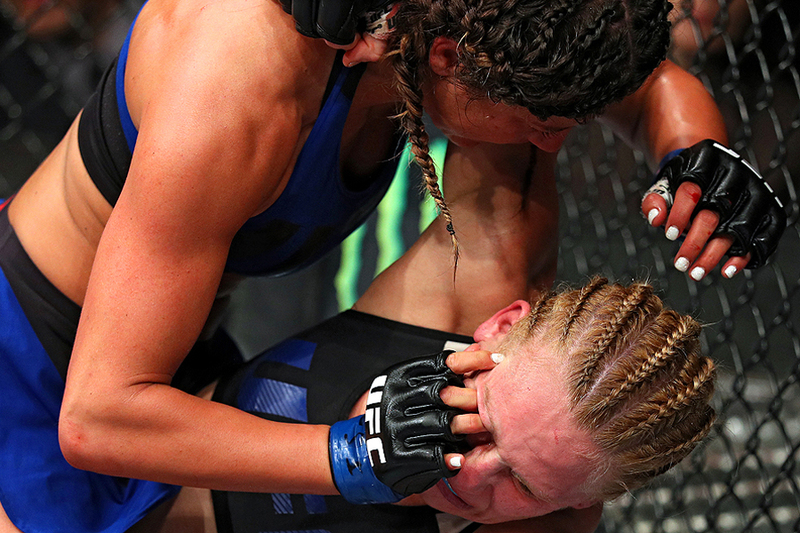 "Ashley Yoder accidentally gouges the eye of Justine Kish in their women's strawweight bout during the UFC Fight Night event at the Times Union Center on December 9, 2016 in Albany, New York." Each and every assignment is learning lesson in some regard. Having the opportunity to document some mixed martial arts fighting during the UFC Fight Night in Albany, New York was no different. It has been quite some time since I've photographed this type of fighting and I was overly excited. Which is where my lesson was learned very early in the night. Needing to document all the undercard fights before the main events - I was eager to get to work. That excitement laced with a touch of nervousness resulted in way too many images the very first fight. Once the adrenaline rush vanished I was then able to relax for the remaining eleven fights. While it's a challenge to stay calm when atheltes are literally punching and kicking one another, it small moments during bouts that gets your heart pumping again. When Ashley Yoder accidentally gouged the eye of Justine Kish in their women's strawweight bout I thought this sport is so tough. After this fight I was right back to shooting heavy hoping to catch something even crazier. While I tend to stay level headed during assignments, it's sometimes good to be over excited because it keeps you alert for the next big moment.